John Harrison is an editor and photographer. 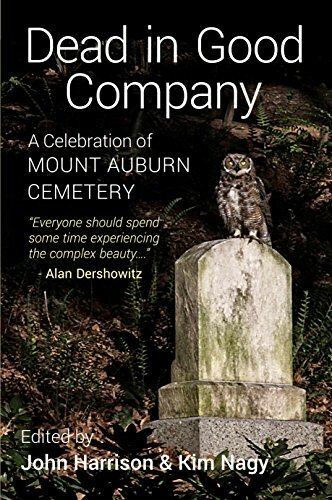 His book, Dead in Good Company: a Celebration of Mount Auburn Cemetery, co-edited with Kim Nagy, is part of the Upton Bell Collection at UMass Lowell Libraries in O'Leary Library, 2nd Floor Special Collections and includes a personal inscription. A book of color photographs taken at historic Mount Auburn Cemetery in Cambridge, Massachusetts, Dead in Good Company also features short essays written by prominent local writers including Dan Shaughnessy of the Boston Globe; investigative reporter and novelist, Hank Phillipi Ryan; and Upton Bell.